The most widely utilized and known IBC is the limited re-use caged IBC. Caged totes are composite IBCs, a white/translucent plastic container (typically high-density polyethylene) contained and protected by a tubular galvanized steel grid. 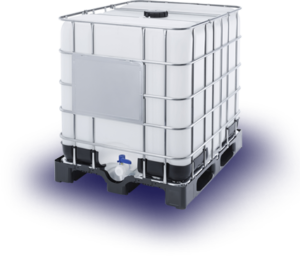 Caged IBC totes are commonly used due to their low cost, wide compatibility, and versatility. 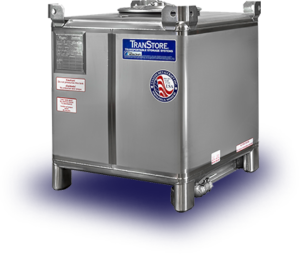 General IBC tank capacities are generally 275 to 330 U.S.gallons. IBCs are shipping containers that have been UN / DOT certified for the shipping of hazardous and non-hazardous, packing group II and packing group III commodities. 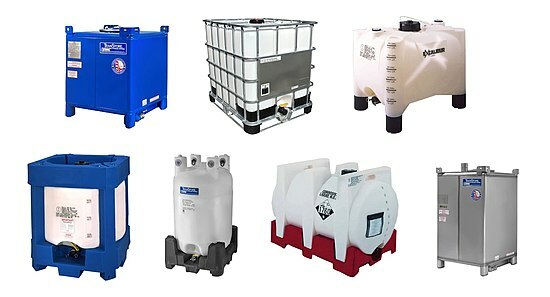 Intermediate bulk containers can be manufactured from various materials based on the requirements of the application or service the IBC will be used for. Power Clean Systems can inspect, recondition, and repair to design specification. Where your container came from? What was in the container before you got it? Was the prior product toxic? Was it washed with dirty water (as a batch)? Was it just rinsed with a garden hose? Were the accessories (Valve, Lid, Bung) washed separately? Was the valve torqued to spec? If it meets DOT standards for hazmat? Dimensions for Schutz IBC’s Other brands are similar. actual size seems to be a fraction of an inch smaller as actually measured. 275 Gallon: 48” x 40” by 46” High. Valve is located on 40” side. Empty weight: approximately 135 lbs. Weight filled with water: 2350 lbs. 330 Gallon: 48” x 40” by 53” High. Empty weight: approximately 157 lbs. Weight filled with water: 2800 lbs.